Preparing cake pans properly is a must for anybody that wants to bake a delightful cake that the whole family can enjoy. The goal for preparing cake pans is to ensure that all of the ingredients get an even amount of heat and that the cake has enough room to rise without getting damaged or losing shape. It is important that your cake pan does not let the edges of the cake to stick to the insides as this will make it very difficult to remove. 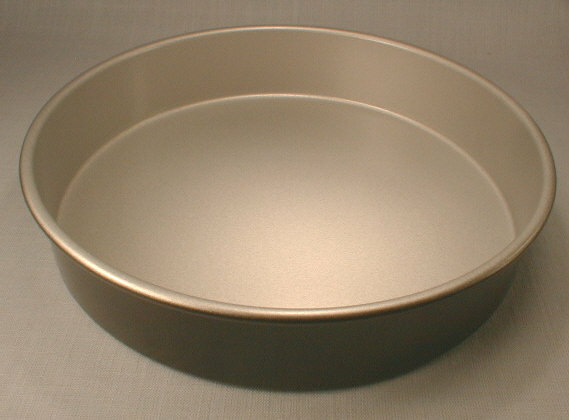 Cake pans come in a variety of different shapes and sizes as it is very important that you use the one that suits your needs. No matter what recipe you use or the type of cake that you want to bake, preparing the cake pan in advance is the best way to ensure that your baked treats come out perfect. Consider applying a small amount of oil or butter on the inside surface of the pan. It is recommended to use flavourless oil for this purpose such as canola, sunflower or vegetable oil. Us about two tablespoons of oil to make sure the inside surface of the pan is completely covered with a layer of oil. Similarly, apply vegetable oil on the sides and edges of the pan as well. However, avoid creating globs of butter or pools of oil to ensure best results. Now add flour into the pan and gradually shake it. This should be done to ensure there is a coating of flour on the whole inside surface, edges and sides of the pan. Naturally, the flour will settle on the surface as it comes into contact with the oil. This will result in a smooth white layer of flour on the inside pan surface. Add more flour if the coating is too thin or the pan is not completely covered with flour coating. Now hold the pan over a garbage can and turn it upside-down. Shake it gradually to remove the excess flour. It is advised to tap the pan from the outside several times and continue to shake until all the excess flour is completely removed. Performing this task will leave you with a perfectly floured and oiled pan that can be used instantly to bake your cake.